CINCINNATI -- Kevin McDonnell is proof that slow and steady can win a restaurant race. How else could an Irishman from Tulsa become majority owner of Cincinnati’s most celebrated chain of Greek chili parlors? Skyline Inc.’s CEO has steered the 135-store chain through two recessions and three ownership changes since joining the company as chief financial officer in 1991. The last big change was a management-led buyout that took three years to complete and left McDonnell with a controlling interest in 2010. At 64, McDonnell said he is still years from retirement. In fact, he just added a fifth city – Fort Wayne, Indiana – to the regional expansion strategy he has patiently advocated for more than two decades. Dayton, Columbus, Indianapolis and Louisville already have a combined 35 stores, contributing to the $165 million in total revenue from 99 franchise locations and 36 company-owned restaurants. That approach is the right one for restaurant concept with “niche appeal,” said Darren Tristano, the Chicago-based chief insights officer for Technomic, a restaurant industry research firm. McDonnell wouldn’t offer a timeline on the growth. He’s more concerned about picking the right locations and franchisees to operate them. It’s a mantra McDonnell has chanted since arriving at a turbulent time in Skyline’s history. A national expansion plan failed in the 1980s, when Skyline used public-company capital to bring coneys and three-ways to cities that didn’t know what to make of them. Atlanta, Washington, Pittsburgh, Toledo and Cleveland all failed to take root. So, McDonnell spends his time on things he can control, like product quality. McDonnell knew fanatics would freak when a long-time vendor got out of the oyster cracker business. 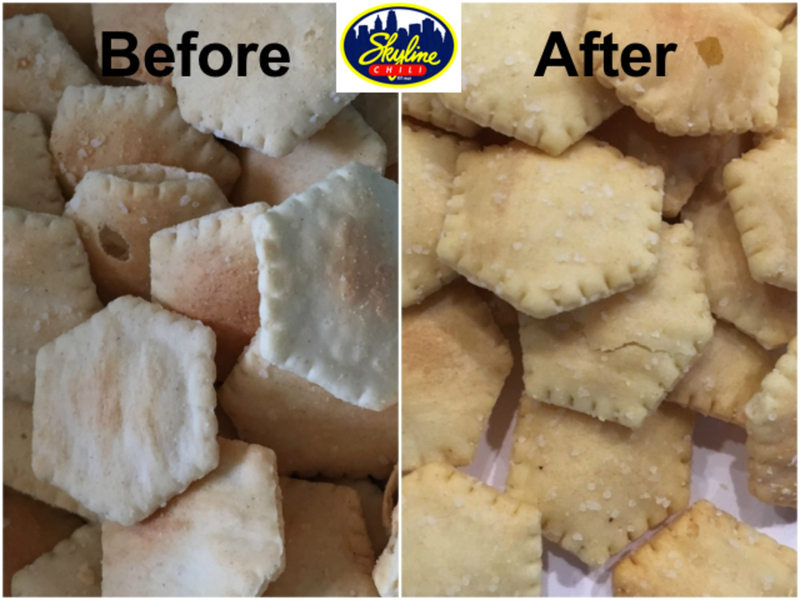 So, Skyline conducted a national search to find a vendor that could match the old crackers as close as possible. Vermont-based Westminster Cracker Company delivered 10 oyster options before McDonnell signed off on the final version. Unfortunately, the process took long enough that an interim supplier had to be used. Skyline put out a press release to explain the change. For two weeks, it received hundreds of complaints and “oyster cracker” became a social-media buzzword. The controversy caused no lasting damage. In fact, two franchisees told us sales spiked while the debate raged. More people came to Skyline to try the new cracker. McDonnell said complaints died down after Skyline started using the new Westminster cracker. “I think it’s because we succeeded in getting close” to “the texture, the flavor, the mouth feel” of the original cracker, McDonnell said. 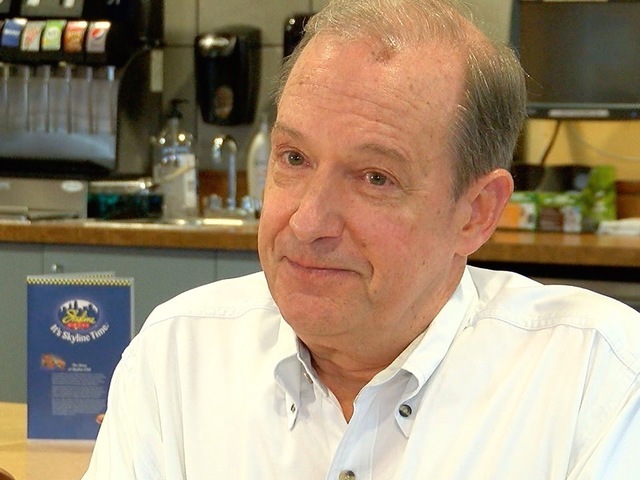 That attention to detail is typical of McDonnell’s management approach, said Mike Misleh, a franchisee whose family has operated Skyline restaurants since 1962. That maturation process – just like the company’s preference for gradual growth – evolved over decades. In the 1990s, Skyline was the target of a takeover attempt, as Michigan-based Meritage Hospitality Group traded offers with a venture-capital firm from Rhode Island. Fleet Equity Partners was the winner, acquiring Skyline in 1998 with a $33 million leveraged buyout. McDonnell said the deal was “an exit strategy” for the Lambrinides family, which founded Skyline in 1949. Second-generation owners Nicholas, Lambert and Bill Lambrinides received nearly $13 million for their stake in the company. 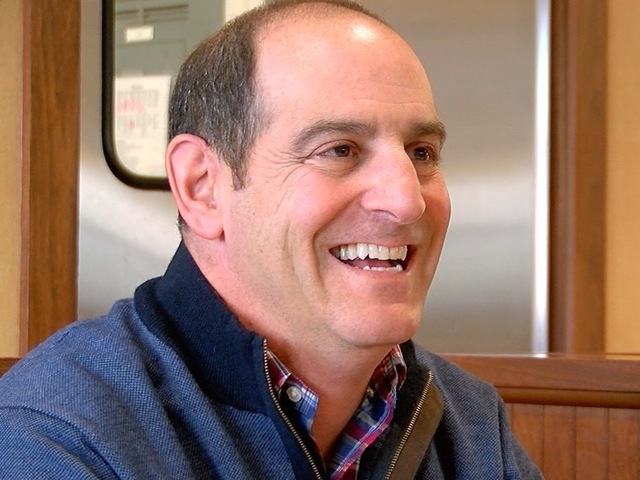 At least 10 family members remain active in Skyline as franchise owners/operators, including Lambert’s son, John, who described McDonnell as the first non-family president that truly understood the company. By 2005, the Fleet Equity partners who led the Skyline acquisition had struck out on their own as Nautic Partners. Nautic Partners sold its Skyline stake to Prudential Capital Partners, which set up a process in 2007 to enable a management buyout. Shares were awarded and sold to Skyline bosses as they increased the company’s total value, paid off debt and grew profitably. Eight members of Skyline’s management team and board now own a piece of the company, with McDonnell’s stake at more than 50 percent. The ownership transitions encouraged a conservative approach to growth, as each buyer took on debt to buy out previous owners. Skyline restaurants can cost upwards of $1.5 million to build. Failures mean less money for debt service. To weed out the failures, McDonnell has refined the site-selection process to focus investments on neighborhoods that match its best stores. Once open, Skyline takes pains to support company-owned stores and franchisees with marketing plans that are effective and easy to execute. It’s a big sponsor of local sports teams and the annual Crosstown Shootout between Xavier University and UC Bearcats. In its employee training programs, Skyline emphasizes an authentic in-store atmosphere where the wait staff isn’t scripted and food is prepared in full view of the patrons. The point of it all, McDonnell said, is to make a daily connection with the communities it serves.